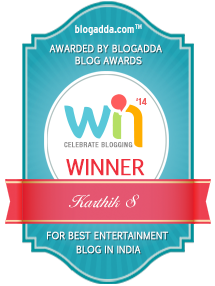 Balupu (Music review), Telugu – Thaman by Milliblog! Kajalu chelliva has nothing new at all, but in true Thaman style, it doesn’t disappoint the feet! Yaevaindho ropes in veteran SPB for a lovely melody with a very, very 80s Raja’ish rhythm… to very good effect! Manasi tries very hard to elevate Lucky lucky from mediocrity, but in vain. Padipoyaanila, with its sparse rhythm that borders on Michael Jackson, has a tune that easily works! Pathikella sundhari has Mika and Ranina regurgitating the same Thaman kuthu sound for the umpteenth time, but it just falls flat. Usual Thaman music, for the usual mass Maharaja template – it works in pieces.